Tuition Insurance | Is College Tuition Reimbursement Coverage Worth It? I was recently asked a question by a reader about the drawbacks of getting a private student loan. She asked why she shouldn’t get a private student loan, when interest rates are so low right now. She would need to cosign with her daughter on the loan in order to get the best rate. My advice was as follows: the biggest danger of a private student loan is that the cosigner is also liable for the debt. So, should something happen to her daughter, and she can’t graduate and earn income, she will be on the hook for the debt. However, there are options to protect parents when it comes to paying their children’s tuition – tuition insurance. Below, we’re giving you our best insights into tuition insurance and sharing our top picks for tuition insurance providers. Should College Students and Parents Purchase Tuition Insurance? When you purchase a home, you buy homeowners insurance. When you buy a car, you protect it with an auto insurance plan. While you don’t make these purchases expecting an accident to occur, you buy insurance to guarantee that if the unexpected happens, you’ll be protected. As tuition rates continue to climb at both public and private institutions, college is one of the biggest investments that people make. When you’re spending tens of thousands of dollars to fund your education, tuition coverage can provide you with peace of mind in case things don’t go as planned. While your college or university may not reimburse you if you get sick and have to drop out mid-semester, a tuition insurance provider will. Tuition insurance is a product offered by a handful of providers who safeguard your investment in a college education, covering the cost of your tuition if you must withdraw for one of the reasons agreed upon in the policy. Tuition isn’t cheap. According to the College Board, the average cost of public university in-state tuition in 2018-2019 is $21,370, with a private education coming in at $48,510. Without tuition insurance, if you have to withdraw from school for medical reasons, especially after the school’s withdrawal deadline (typically no more than a month) you can probably kiss that $20,000-$50,000 goodbye. Tuition insurance is designed to help you avoid that scenario, with most policies covering up to around $50,000 per year. Outside of those reasons, you’ll be on your own. Tuition insurance does not equate to dropout insurance, so you can’t get reimbursed if you voluntarily withdraw. In other words, your tuition insurance policy will not pay out for academic withdrawals, like you failing out of your classes, expulsion, or transferring to another school. Tuition insurance is only offered by a few select carriers who specialize in this type of coverage. Let’s take a look at what each of them has to offer. GradGuard is our top pick for tuition insurance, and it’s easy to see why. 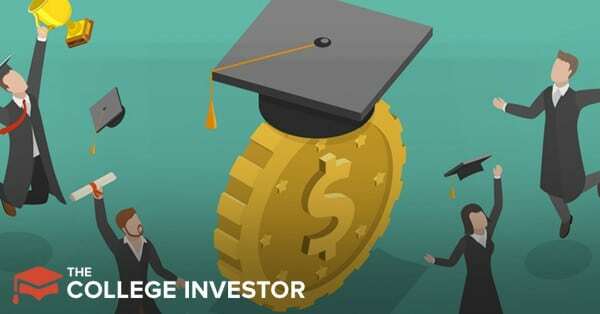 GradGuard is designed specifically to help college students and their parents to protect their investment in a college education, offering coverage at hundreds of colleges and universities nationwide. GradGuard offers two insurance products: tuition insurance and college renters insurance. Partnering with Allianz Global, a reputable carrier, GradGuard markets 100% reimbursement for tuition and room and board, when you withdraw due to serious medical conditions, chronic conditions, or psychological reasons. They also help with travel arrangements for parents to visit their hospitalized students and transportation arrangements for injured and ill students. The company also touts an "A+" from credit rating agency A.M. Best, making them a reliable carrier. A.W.G. Dewar is another provider offering tuition insurance for both K-12 private schools and colleges and universities. Dewar has offered its College Tuition Refund Plan for nearly a century, providing coverage for tuition and room and board for verified medical withdrawals. Dewar’s plan works to first supplement the college or university’s step down refund (if there is one), then fully reimburse tuition beyond that amount for the rest of the semester. The company has an "A" rating from A.M. Best, demonstrating its reputability as an insurance provider. Dewar also claims to offer competitive low rates on its tuition insurance policies, which cover a significant amount of the tuition paid. If you’re looking for low premiums at the expense of slightly less expansive coverage, Dewar could be a good option. Education Insurance Plans is an insurance agency which offers riders and life insurance products tailored to college students rather than tuition insurance as defined above. EIP markets itself as an agency who protects education lenders, students, and parents with more targeted needs than simply reimbursing tuition. One unique offering from EIP is its InsureMyTrip plan, which is designed for college students studying abroad. This plan, provided by Nationwide, does offer tuition protection if your academic study abroad trip is cancelled or interrupted due to evacuation or medical emergencies. Some of these policies also come with additional benefits like luggage protection, emergency assistance, and travel assistance. Beyond its study abroad tuition assistance, EIP offers access to affordable term life insurance with Haven Life and Ameritas disability insurance with student loan riders. Knowing what tuition insurance has to offer, your interest may be piqued. Whether or not you need tuition insurance depends on you finding the peace of mind a policy offers worthwhile. Withdrawal period: Timing is everything. If you withdraw within the first few weeks of the semester, you may already be covered by the school’s policy. Withdraw at the very end, and you may be able to make arrangements with professors to receive a passing grade and gain credit for the course. Coverage length: Typically, your policy will only cover the current semester. It’s up to you to decide if that time period is worth the risk. What’s Covered: Tuition insurance only covers approved health issues, restricting its usefulness to a small timeframe with a limited area of coverage. Cost: Compared to other types of insurance, tuition coverage is pretty affordable. You could be spending merely hundreds of dollars to cover a $50,000 tuition investment. Your medical needs: If you have a medical condition and fear it could interfere with your education, and the condition is covered, you might want to consider a policy. College tuition is costly, but tuition insurance is not. You ultimately need to weigh the costs and the risks to decide if tuition insurance is the right call for you. You should also see what your college or university’s refund policy is. Just like your tuition itself, your insurance policy is an investment, and it generally has a low return. Tuition insurance costs around 1% of the total tuition amount, on average. If you took out a standard tuition semester-long protection plan with GradGuard for $20,000, your total cost would be $198. That $198 would cover up to the full tuition amount for approved illnesses, injuries, psychological disorders, the death of the student, the passing of the student or tuition payer, and up to $1000 for housing, books, and other fees. It’s great coverage for the cost, as long as your withdrawal is due to one of the policy’s covered conditions. Another piece of good news is that policy amounts are flexible. With GradGuard’s free quoting tool, you can enter your school and set the amount of coverage, meaning you can opt to cover only a portion of your tuition if you choose. With so few carriers offering tuition insurance, you can expect to find similar policies and premiums across the board. At a base level, you should look for the most comprehensive policy within your budget that meets your needs. If you have a pre-existing condition, make sure to read the fine print and be sure that a related incident during the semester will be covered. A solid policy like the ones offered by Allianz will cover severe injuries, illnesses, including pre-existing ones, and anxiety and depression. You can also find coverage the encompasses family emergencies for a higher cost, and for an even more heightened cost, you can opt into a policy that covers any unexpected incident leading to your withdrawal during the semester. Applying for a tuition insurance policy is simple. With most tuition insurance policies, you aren’t required to undergo a medical exam to get coverage. You simply input the coverage term and amount, enter your personal information, and select a policy that fits your needs. After paying for your insurance policy, your coverage will take effect for the duration of the semester you determined in your application. GradGuard’s filing process involves the student or tuition payer, the school’s Registrar’s office, and the doctor involved in the case. After consenting to a release of your medical and academic information, the Dean’s or Registrar’s Office fills in paperwork which verifies the reason for you withdrawal and the amount of the student’s tuition the school will reimburse, if applicable. The physician then answers a series of questions confirming the circumstances of the student’s injury or illness and their recommendation that the student withdraw. If you are going to be paying for your child’s education, tuition insurance can be a worthwhile investment. But if you are cosigning a loan for your child’s education, tuition insurance is a must to ensure that you are protected should something happen to your child. If you’re a student paying your own way through college, tuition insurance can be an affordable solution to protecting your investment in case anything goes wrong. 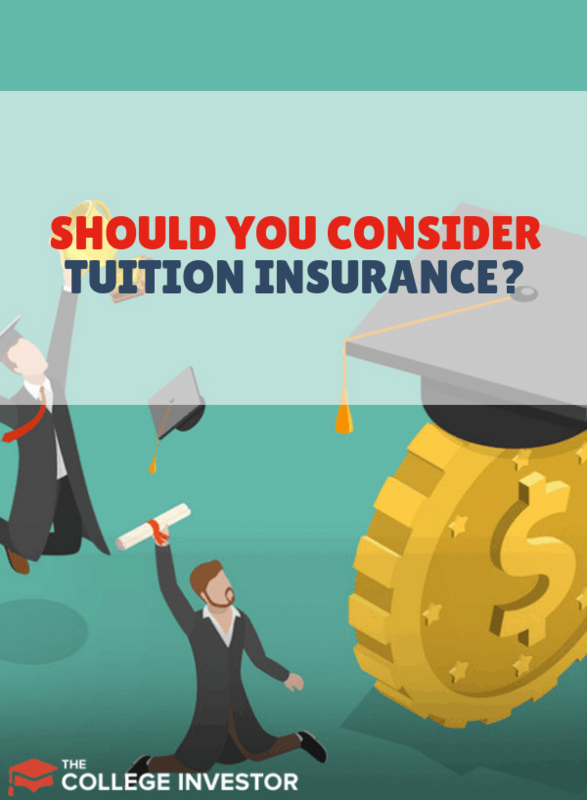 What are your thoughts on tuition insurance? A value for cosigners?